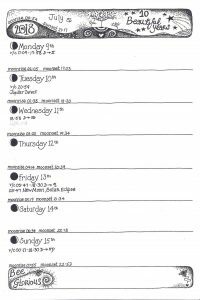 And now we have reached the grand and giddy heights of our 12th Earth Pathways Diary! WOOOO HOOO! Through our diary and calendar, we celebrate our great Love for the Earth, and our desire to live our lives filled with appreciation and responsibility for this beautiful planet. 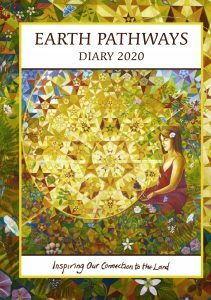 The diary is a reflection of the growing body of people who choose to live their lives guided by generosity, active positivity and a fierce desire to enhance and reflect this vision. The diary is brought to you each year by a small co-operative of committed friends. It is a story of community, networking and support, and of course, a lot of hard work, not only from those on the team this year but those who have worked for us in the past. From our very simple beginnings, the generous hearts of many, and a simple ethos of wanting to support artists and writers whose work inspires our Love for the Earth, we now print around 7,000 diaries and 2,000 calendars a year and see ourselves as part of a thriving community of like-minded and like-hearted people from many walks of life.